Numerology is the science of numbers which interpretes and predicts the destiny of a person taking into account his date of birth and the numerical value of the letters of the name. There are a number of systems that evolved since the inception of civilization to foretell the present, past and future. Out of these systems, Numerology is also one of the most prominent systems and is being practised effectively since ancient times in different regions of the world, off course with certain subtle variations. In India also, it evolved during the Vedic Period and since then our Seers and Rishis have used this wonderful science to foretell the destiny of human being very correctly and effectively and guided them to shape up their activities as per the indication of the numbers being prominent at a particular point of time. Anybody can learn numerology to know about the basic traits and nature of a native. The vibration of numbers has a specific impact on the life of native. This book contains complete information about the basics of numerology. 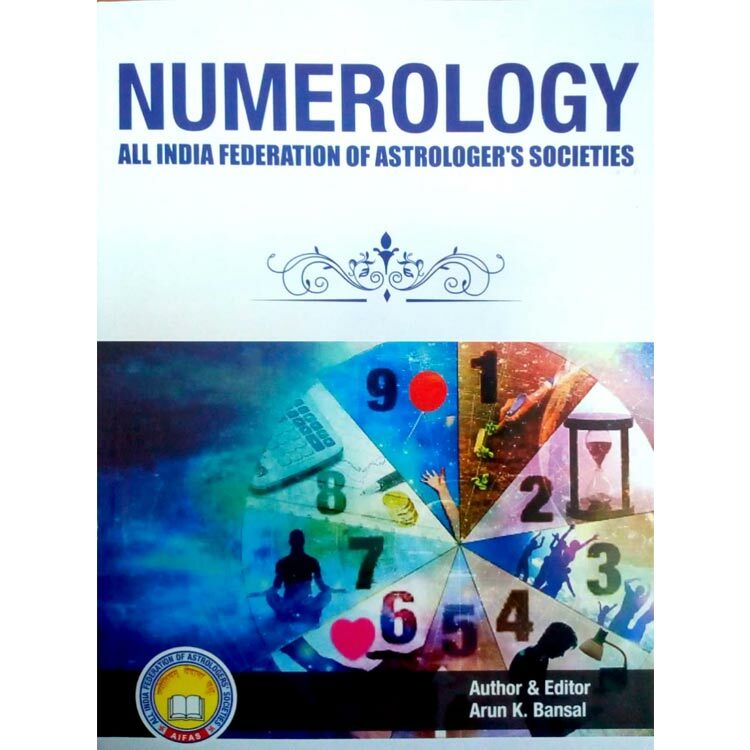 This great book of numerology talks about the origin of numbers, mysterious power of numbers, information about radical number and destiny number, relation of numerology and name, Ank Kundali, horary astrology, role of numerology in electional astrology, recommendations about property, vastu, vehicle and profession on the basis of numerology, and remedies of numerology. This book is presented before the readers and the students of AIFAS to enable them to understand the power of numbers, calculate them and use them effectively in their lives. Purely Vedic system has been incorporated within the ambit of the book although there are several other effective systems prevalent in different parts of the world. The whole book has been divided into 12 chapters. The first two chapters deals with the origin, nature and qualities of numbers. Chapter 3 & 4 teaches how to calculate the Radical and Lucky numbers and predict on the basis of these numbers. Chapters 5 & 6 is about the calculation of name numbers, preparation of Ank kundli and their interpretation. Chapter 7 deals with the Mook Prashna in which it is interpreted how a numerologist can predict about the nature of a question, the querist is about to ask and how and where a lost object can be found out. The rest of the chapters are concerned with the remedial measures to rectify the ill effects of any particular number or group of numbers.